Our communication with customers is key to finding the best water filtration systems in Frederick, MD, for their needs and what products will address their particular problem. For example, if a customer has sediment in the water, a low pH situation, a bacterial concern, or any other issue, our water experts are here to help make the right choice to address the issue. We offer some of the best internet prices anywhere because our goal is to solve water problems at the most reasonable price. Price sets us apart, but our superior products and expert guidance are the foundations you can rely on. 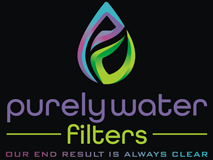 Superior quality water filtration systems with performance are our end result!